Airbus has completed the integration of Cheops (CHaracterising ExOPlanet Satellite), the European Space Agency’s (ESA) first smallsat mission that will carry out a scientific mission,to define the properties of the planets orbiting nearby stars. Cheops will study these planets using a Ritchey-Chrétien Telescope supplied by the University of Bern, Switzerland. The telescope was integrated last month at Airbus’ Madrid-Barajas site on the already-finished platform. Following successful integration, the spacecraft will be sent to France, Switzerland and The Netherlands for a comprehensive test campaign on July 9. The campaign will include a complete set of functional and environmental tests to ensure that the spacecraft is fit for launch. 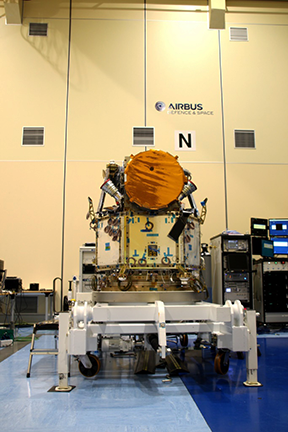 The satellite will then return to Madrid for final functional tests and a final inspection before being shipped to Kourou, French Guiana, for launch. 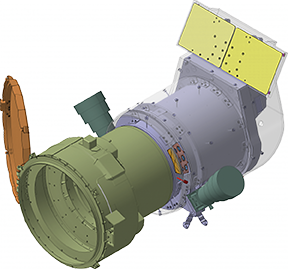 The satellite, which is implemented as a partnership between ESA and Switzerland, is on track for launch by the end of the year on a Soyuz rocket from Kourou. The Cheops mission will analyze, for at least three and a half years, the transit of exoplanets as they pass in front of their stars and will operate from a Sun-Synchronous Orbit (SSO) at an altitude of between 650 and 800 km.